Heartbroken again. Our oldest came over the week after my birthday with pieces for a craft that she made and brought to her mom's. Foolishly I thought that she had maybe been bringing over art to give me like she had said. She came back the next week and my fiance asked her about it. She blew him off. The following week she showed him part of a gift she had made me. 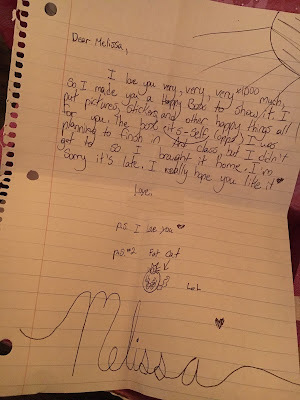 He told him it was very nice but that here we were almost a month after my birthday and she had lied and not apologized so he suggested that maybe she should give it to me and tell me how she feels. She left it on my dresser a week later (which was Sunday, 5 weeks after my birthday). 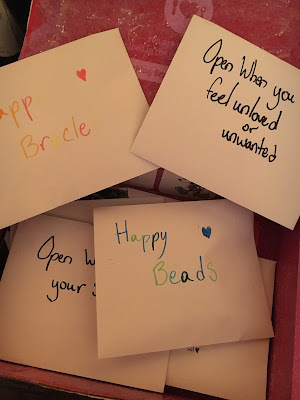 She had once found me a little project when I was trying to send my friend a happy care package. 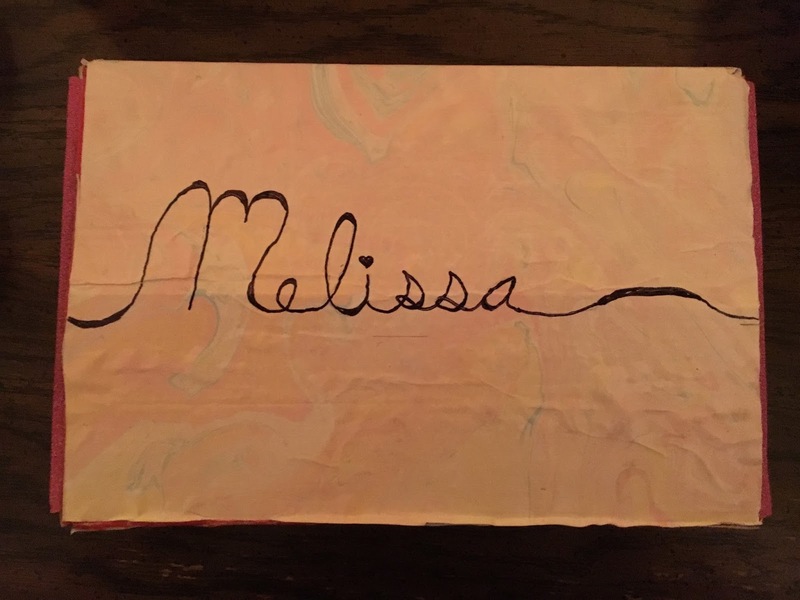 It had similar "open me when..." that I filled envelopes with art. 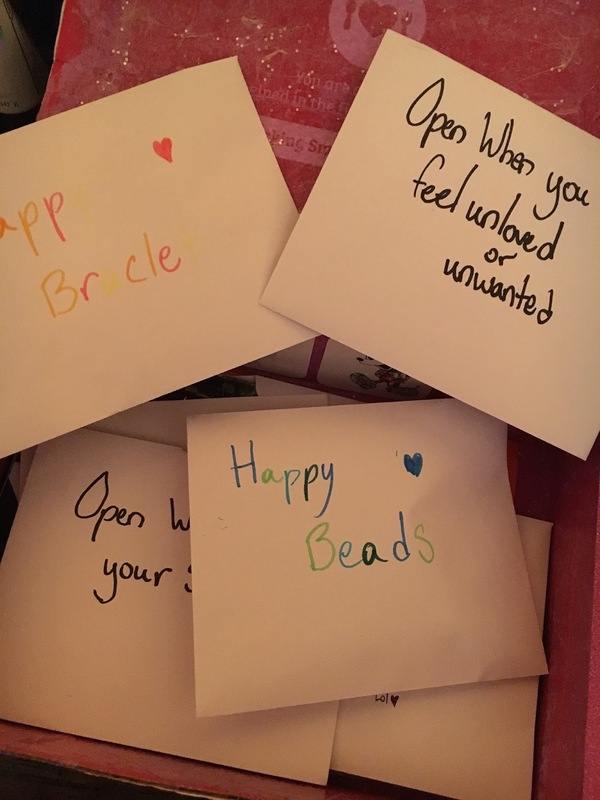 As I looked through the box I noticed that while she tried her best, a lot of the stuff wasn't heartfelt. Pictures from a camping trip that her sister and brother had wanted to bring to her mom's to put in a photo album their grandpa had given them and her mom made a big stink about, stickers that were her sisters, notes that didn't seem sincere. And all the while I knew that she had the pieces of this for weeks and didn't put the effort in to give it to me or even tell me about it when it would have saved me from being hurt. Was I being too sensitive? We skim through the pictures on her iCloud account and her notes on her iPad occassionally just to make sure she is okay. I had once found lovely Stepmom quotes and poems, as I opened the envelopes I found none of these here. I found instead things like "CHEER UP! SMILE!" 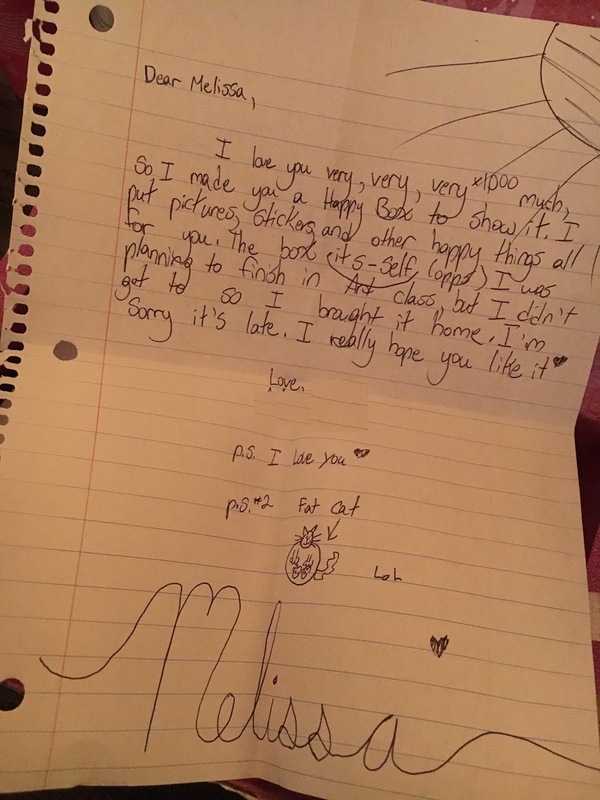 I had seen the note she wrote as a text she was working on to me to tell the truth about what happened on my birthday. It wasn't here either. It felt like I was being ungrateful. Is it ungrateful to receive something special but wish it had included how you know someone really feels about you? Finally I opened the "open when you are mad at me" envelope. The note was very special and I will share it below. However, as beautiful as it felt and as much as it made me cry, I still felt like it was forced. I felt like deep down these words are not true. I am not sure the truth. Did I feel that way because I have struggled with trust from her? Is it because of my feelings of inadequacy about parenting? Is it because my intuition was telling me something? Did I feel this way because I am in a situation where I will never feel the genuine love of a child? "I love you, thank you for loving me too. I need you in my life. Without you I'd be a liar, acting like the other girls, and many more things. You make everything more interesting and always have so many great ideas. Without you my room wouldn't be as cool, lol, and our house! Also thank you for always being there for me to ask anything and you will answer along with great advice. Thank you for doing so many things that you don't even have to do and thank you for being someone who I look up to a lot. And thank you for being my favorite person. I love you. Somehow the words "for doing something you don't even have to" hung in my head. Is it the letter of a tween who finally feels like her family is intact after years of being broken? Or is she awkward sometimes because I do too much and she doesn't need or want that? After everything, could I really be her favorite person? Or like a typical child of divorce was she just saying what she thought I wanted to hear? The words still spin around in circles in my head.. how do I know if its ever real?